News channels are the major source to keep ourselves updated on various happenings and current events around the world. It can be on anything, from government to Bollywood news. These channels are very powerful owing to the fact on how they can greatly influence the people and their lives as each and every news shown is considered to be authentic. A few decades from now, Doordarshan used to dominate the news world, but today, we see a lot of news channels brewing up competing with each other to survive in the media. There are various English and Hindi news channels that classify their news as per the interest of the people. Doordarshan News or DD News is a popular news channel from India. One of the main reasons for its popularity is that it is a free channel unlike the private ones. It has changed its log several times and the latest one was finalised on Jan 26 2013. The new show ‘News Night’ and became a major part of facelit for DD broadcast channels. Some of the regular features on this channel include News Headlines, News updates, breaking news etc. Sahara India TV Network is linked with the people since the emergence of electronic media. 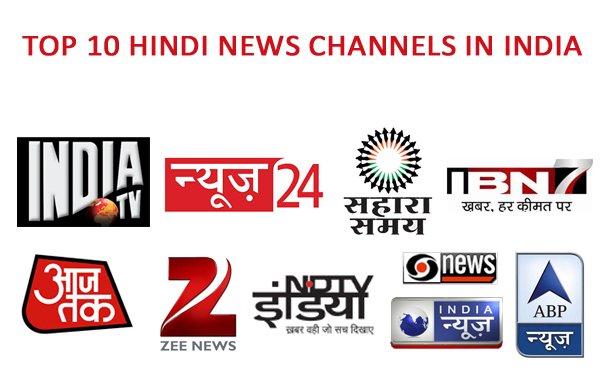 This Hindi news channel was launched in 2003 and ever since has been offering five regional 24X7 channels. It is an active part of the Sahara India Pariwar. Sahara Samay with the tag line ‘People’s Voice’ aims in offering information to metros, smaller and rural areas. The channel services in 66 countries today. Chandrasen Verma is the Editor in chief. India News is another Hindi news channel from India. The channel is run by Kartikeya Sharma under the ITV Media Group. Good Morning India and Information TV (GMI) are two other media companies set up by this veteran. The two print ventures ‘Aaj Samaj’ and ‘India News’ also forms a part of Good Morning India. Other ventures include ‘India News Media Academy’ and ‘Research India Organization’. A few other channels under this group include India News Haryana, India News Bihar & Jharkhand, India News Rajasthan, India News UP & UK and India News MP & Chattisgarh. News 24 a 24-hour Hindi news television channel from India. It is owned by B.A.G. Films and Media Limited. The channels belong to Congress leaders Rajeev Shukla and Gopal Kanda. It is a free-to-air channel in India and is best known for its credibility. The Indian Broadcast Network or IBN-7 is a Hindi news channel owned by Network 18 Ltd with its head quarters in Mumbai. The channel was formerly known as Channel 7 which was later rebranded as IBN-7 in 2006. IBN-7 is a part of the English news channel CNN-IBN and is produced by a team of courageous and renowned journalists of the country like Rajdeep Sardesai, Ashutosh and so on. The channel is considered most reliable and is known to have set a different kind of standard in Hindi journalism. ABP News or Ananda Bazar Patrika which was previously Star news now changed its name to ABP in 2012. Star TV News Network and ABP Network work as a joint venture and separates in the entertainment genre. This channel is also aired in Bengali and Marathi language. Though the logo has been changed, tag line, Aapko Rakhe Aage is still the same. India TV was launched in 2004. It is produced by one of the most common and popular face of Indian Television, Rajat Sharma. He is known for anchoring one of the famous shows ‘Aap ki Adalat’ on Zee TV. It is a part of the Independent News Service that has its headquarters set in Noida, Uttar Pradesh. The news is considered to be rich in credibility as they take interviews of some of the current leaders from time to time. New Delhi Television or NDTV India is an international based English news channel and a hotspot for famous and renowned journalists in the country. The channel was launched in 2003. It came into limelight after airing original and true facts about some of the acute mis happenings of the country such as Kargil war and Northeast insurgency. We the People, The Big Fight are some of its popular programs. It also won the Asian Television Award as the Best News Programme. Zee News is another Hindi news channel under the Zee News Limited family. It was incepted in 1999 as an English channel but later during the year 2003-04 it got converted into Hindi news channel. Various famous journalists in India have emerged from this channel. The channel is considered as one of the largest content distributor in India. Aaj Tak is the largest privately owned Hindi news channel in India. It was incepted in 1999 and owned by TV Today Network Ltd. It functions exactly according to its tag line ‘Sabse Tez’ thus becoming the most viewed news channels in India. However, it has also been criticized for exaggerating the events and focusing more on bollywood news and celebs life. Seedhi Baat is one of the most watched programs and journalists like Prabhu Chawla sells.